Living wreaths add charm and beauty to our homes. As a centerpiece or hung on a fence or door, these living pieces of art are beautiful, long lasting and low maintenance. 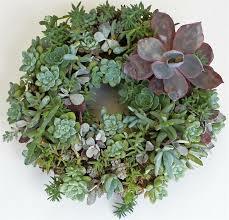 Using sedum and other plants with low water maintenance, we will assemble our living wreaths. Kerry Mentzer works as a landscape architect and has a strong knowledge of plant materials and love for the arts.